First and foremost, the myth that prenups are only for the top one percent: in fact, prenups do not exist just to protect piles of cash. These agreements not only protect money, but assets, and essentially anything that is important to you, including pets, debts, items that are important for you to pass onto your children, etc. Another myth sometimes associated with these agreements is that you can structure them in any way that you like. Keep in mind that, while you can address a myriad of issues in prenuptial agreements (as long as it’s all legal), as a matter of public policy, there has to be a certain level of fairness involved, and it also cannot run contrary to law. So, for example, you cannot do away with child support in a prenuptial agreement because state law dictates that it is in the best interest of the child to be financially supported, and these agreements must be based on full transparency; otherwise, they could be thrown out by a judge. While you can have a strong influence on what your prenup says, again, getting back to principles of fairness, each side needs to have their own legal representation when it comes to entering into a prenuptial agreement. This also applies to timing, so do not save your prenup for the last minute. If a judge determines that it was signed due to duress or coercion, this can invalidate your agreement. Another myth: if you missed the boat on signing a prenup before you got married, you’ve missed your chance. You can sign what’s known as a postnuptial agreement anytime after you get married and have it govern the exact same issues. Keep in mind, however, that any assets you’ve acquired in the years you were married before the agreement was signed (including income, retirement accounts, etc.) will be considered marital property. Not only does having a prenuptial agreement in place have nothing to do with being destined to divorce, according to the experts, prenups have no predictable impact on marriage whatsoever. 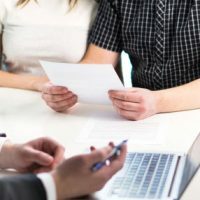 Prenups are also not just about divorce: Some people use prenuptial agreements to put forth the groundwork for an estate plan. These agreements can address financial expectations in any form, including in the event of your death. They are also more flexible than people may realize; prenups will always allow you to go further; for example, if you want to pay more in alimony than what you agreed to pay in your prenup, you always can. If you have any questions about pre- or postnuptial agreements, contact our experienced Florida family law attorneys at the Arwani Law Firm, PLLC today to find out how we can help.